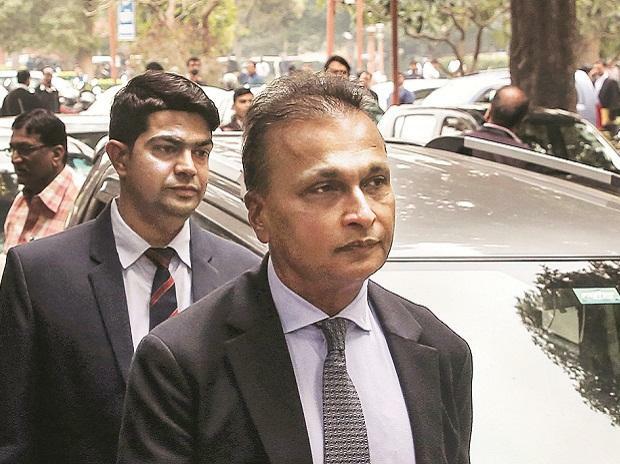 The National Company Law Appellate Tribunal (NCLAT) has asked Reliance Communications (RCom) Chairman Anil Ambani to respond to a contempt petition moved by HSBC Daisy Investments (Mauritius) within 10 days. The appellate tribunal will now hear HSBC Daisy’s plea against Ambani and his company Reliance Infratel on May 20. HSBC Daisy had moved the NCLAT alleging that Anil Ambani’s companies Reliance Infratel, Reliance Communications Infrastructure and RCom have breached a consent decree by not paying the Rs 230 crore settlement amount within 180 days of June 29, 2018 when the agreement was taken on record by the appellate tribunal. Minority investors of Reliance Infratel had moved NCLAT alleging oppression and mismanagement after the company had allegedly not taken their consent for the selling the tower and fiber assets. They had moved the NCLAT in an attempt to thwart the then sale to Reliance Jio Infocomm, which had then forced Reliance Infratel to settle the issue with them. Following the agreement, both the parties had submitted to the NCLAT their final consent terms after which the appellate tribunal had allowed both parties to withdraw their appeals. The said agreement amount, however, was never paid, HSBC Daisy has alleged. This is the second such contempt petition moved against Ambani and his companies. Earlier on February 20, The Supreme Court had held RCom Chairman Ambani and two of his top executives guilty of contempt of court for wilfully failing to pay the dues to telecom equipment maker Ericsson. The court had also directed Ambani, Reliance Telecom Chairman Satish Seth, and Reliance Infratel Chairperson Chhaya Virani to pay Rs 453 crore within four weeks or face a jail term of three months. It also slapped a fine of Rs 1 crore each for their “cavalier attitude” towards the court’s orders. Ericsson India had in September 2017 moved insolvency petitions against RCom, Reliance Telecom, and Reliance Infratel at the Mumbai Bench of the National Company Law Tribunal (NCLT) for failing to pay their dues amounting to nearly Rs 1,500 crore. The petition was admitted by the NCLT in May 2018, following which the three Reliance group companies approached the NCLAT. It was in the NCLAT that Ericsson India and the three Reliance companies had come to a settlement that the latter would pay Rs 550 crore within 120 days that is by September 30, 2018. The companies had failed to do so, following which the contempt petition had been moved by Ericsson India.